Extensive stock range, with over 1,000 sizes of round wire compression and extension springs to choose from, they are ideal for product development, maintenance and general engineering. 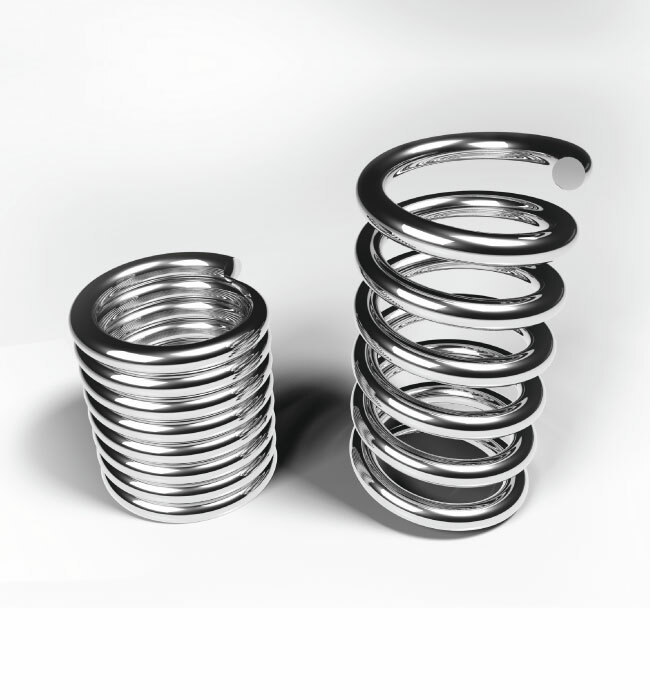 All stock springs are manufactured from Hard-drawn steel to AS 1472 Range 2. Stainless steel and other materials may be available for springs made to order, enquire for availability and price. Springs may be wound either right hand or left hand at spring makers discretion. Compression springs with a wire diameter of 1.6mm (0.063") or heavier will have ends ground square. All stock compression springs are plain finish and lightly oiled. Special coatings i.e. Electro zinc plated and Mechanically plated and others are available upon request. Minimum charges will apply.